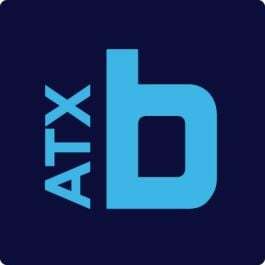 These four Austin tech companies expect your best each day, but more importantly, they want to help you get better. Through programs like mentorships, professional development opportunities, learning and skill workshops and tuition reimbursements, these organizations are ready to invest in you. If you’re in the market for a new career where you can continue to build on the talent you already possess, check out these companies. Just a little over a year after bursting out of stealth mode in May 2017, Opcity’s real estate referral platform was acquired for $210 million by Move, Inc., a News Corp subsidiary. The company, which develops hot real estate leads for agents using machine learning algorithms, continues to operate as a stand-alone entity with CEO and co-founder Ben Rubenstein still at the helm. Why you want to work there: Get to to know your growing team of co-workers over daily lunches provided by Opcity. Other perks and benefits include insurance for your pets, 401(k) match plans, unlimited vacation, life insurance, and an onsite gym. This past fall, Duo Security joined Cisco’s family of brands following its acquisition for $2.35 billion. Duo develops cloud-based authentication tools that verify both users and devices before permitting them access to work-based applications. Why you want to work there: Duo’s gained a reputation as a much-loved company in security due to ongoing positive testimonies from happy clients. Like its clientele, the company also takes care of its employees by providing tuition reimbursement, health and wellness plans, paid volunteer days, employee stock purchase plans, 401(k) plans and more. MongoDB provides over 8,300 businesses with a flexible, general-purpose database to build and run all sorts of modern applications on. You might recognize a few of its clients: Adobe, Capital One, T-Mobile, Cisco, eBay and Live Nation. Its platform has been downloaded more than 45 million times since its 2008 launch. Why you want to work there: In an effort to build an environment that you’ll thrive in, MongoDB offers employees mid-day meditation sessions, robust learning and development programs, professional development and career coaching. New parents can also expect 20 weeks of paid time off and an additional four weeks of flexible work arrangements. Word on the street: “Ideal candidates are highly driven, extremely intelligent, forward thinking and are looking to earn an MBA in sales in an environment built with 'A' players,” said Mitch Quinby, regional director of sales. Signpost’s automation solutions give over 20,000 local business owners a helping hand in the customer relations department. Its platform increases online brand presence by collecting customer feedback, boosting Google reviews, organizing customer “text clubs,” promoting referral business and more. Why you want to work there: Signpost has a strict “no cubicle” rule in its new Northwest Austin office. Its open layout mirrors the team’s community atmosphere, which is complemented by a mentorship program, regularly scheduled company outings and events, and weekly breakfasts starring kolaches and breakfast tacos. Employees can also enjoy a flexible PTO policy, casual dress code, free parking and close proximity to The Domain.